Japanese SDF searches for missing US marines - SABC News - Breaking news, special reports, world, business, sport coverage of all South African current events. Africa's news leader. Tags: Fighter jet, US Marines, American military aircrafts, Takeshi Iwaya, Japanese Self-Defence Force, Refuelling operation, Refueling tanker. The marines were conducting "regularly scheduled training" when the crash occurred. Rescue operations were underway Thursday for five US marines missing after two American military aircrafts crashed during a refueling operation off the coast of Japan, the Japanese defence minister Takeshi Iwaya said. One crew member has already been rescued and is thought to be in a stable condition, Iwaya told reporters. A spokesman for the Japanese Self-Defence (SDF) said another crew member had been found, but there were no immediate details of the marine’s condition. “US military and the Japanese Self-Defence planes and vessels are searching for those still missing… I hope all the members will be rescued safely as soon as possible,” Iwaya added. The marines were conducting “regularly scheduled training” when the crash occurred around 2am local time, the third Marine Expeditionary Force said in a statement. The F/A-18 fighter jet with two crew members and a KC-130 refueling tanker with five crew members, crashed into the sea around 100km off the cape of Muroto in south-western Japan, Iwaya said. The crew member rescued had been in the fighter jet, the minister confirmed. Iwaya said that Japan’s SDF had deployed nine aircraft and three vessels for the search. “We are thankful for the Japan Maritime Self-Defence Force’s efforts as they immediately responded in the search and rescue operation,” the Marines said. There are few details about the circumstances of what the Marines described as a “mishap” and an investigation is underway. During a normal KC-130 refuelling operation, the tanker aircraft trails a hose from the back of the plane with a so-called “drogue”, shaped a bit like a windsock, at the end. The fighter jet then inserts a probe inside the drogue to receive fuel, which it can do at a rate of up to 3 000 pounds per minute, according to a paper prepared for the US Congress. 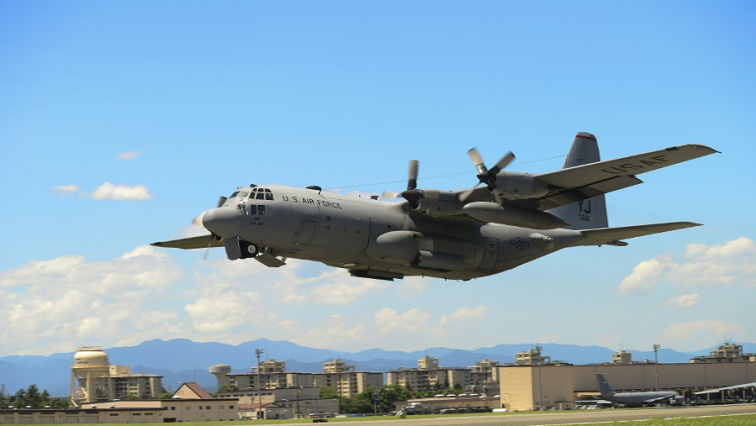 The US military has about 50 000 troops stationed in Japan and accidents are not uncommon. In November, a US navy fighter jet crashed into the sea off Japan’s southern island of Okinawa and its two crew members were rescued alive. In November 2017, a C-2A “Greyhound” aircraft with eleven people on board went down in the Philippine Sea, eight were rescued and the search was called off for the remaining three after a two-day search. The US military has also experienced difficulties with its Osprey helicopters, with several emergency landings, a deadly crash and a piece of the chopper falling on the grounds of a Japanese school. Those incidents have stoked tensions between close military allies Washington and Tokyo and led to protests against the deployment of Ospreys by residents living near US bases. Fighter jet US Marines American military aircrafts Takeshi Iwaya Japanese Self-Defence Force Refuelling operation Refueling tanker. This entry was posted on 06 Dec 2018,10:09AM at 10:09 AM and is filed under World, Homepage Featured Story Slider. You can follow any responses to this entry through the RSS 2.0 feed. Both comments and pings are currently closed.